In this episode of The New Stack Makers podcast, we explore how the Internet of Things has impacted aviation. Former M2Mi chief operating officer Sarah Cooper (she has since moved on to become Amazon general manager of Internet of Things Solutions) explained how aviation has evolved and shifted thanks in part to the revolutions brought around by the IoT movement, with new technologies such as WiFi signal-transmitting sensors for luggage. 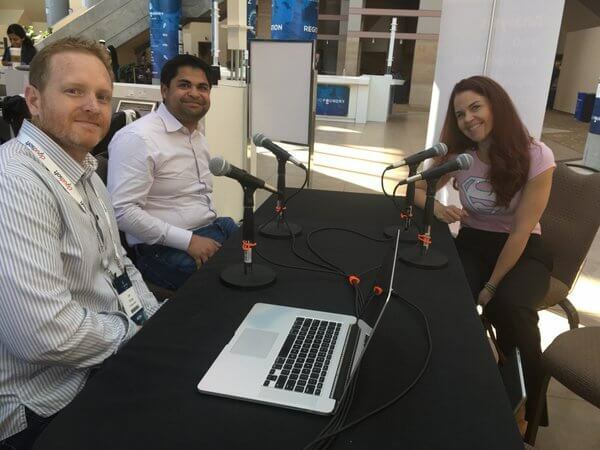 Hosts Kyle MacDonald and Lee Calcote spoke with Cooper during Cloud Foundry Summit 2016 to hear her thoughts. The interview can also be heard on YouTube. Having been creating software for over a decade, M2Mi offers users a variety of tools and platforms that allow developers to not only strengthen their existing infrastructure but to put a focus on securing it. While the Internet of Things is quickly taking over, critics are quick to remind us about the worst about the Internet of Things, particularly when it comes to IoT in the home. “It’s very hard to make decisions in real time unless you have the context around them. Is five good or is it bad? That depends on if it’s the temperature outdoors or of your refrigerator in Celsius” Cooper said. At its core, M2Mi works with industrial aviation partners to bolster how the Internet of Things can improve the airline experience as a whole. Cooper explained that by incorporating powerful data into its platform, M2Mi can not only have a clearer picture of the health of the airport itself but may eventually come to help airlines obtain and act on data collected from passengers. “What we have taken into the M2Mi model is Oracle’s Airline Data Model and combined information across the airport to figure out whose bag is whose and what kind of flight experience you’ve had,” Cooper said.